Hot Yoga Transformed Actress Kaley Cuoco's Body: Can It do the Same for Yours? 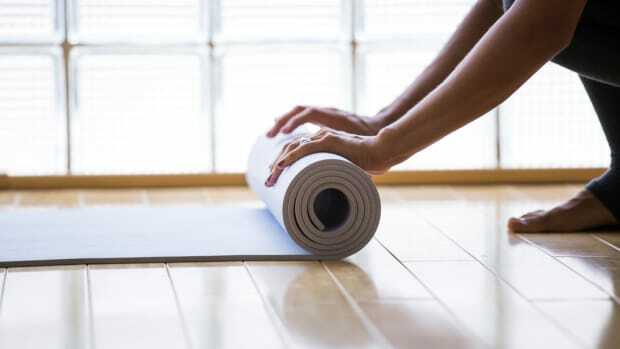 Hot yoga isn’t going to be everyone’s thing, but it may be yours. Better yet, it may be the break you’ve been pining for when it comes to getting your body to the toned, flexible, and lithe place you&apos;ve always wanted it to be. Hot yoga is often treated as synonymous with Bikram yoga, a 26-posture practice developed by Bikram Chouldhury that is derived from Hatha yoga and takes place in studios with temperatures at 105 degrees Fahrenheit and 40% humidity. Strictly speaking, "hot yoga" is not based on the same 26-posture series. 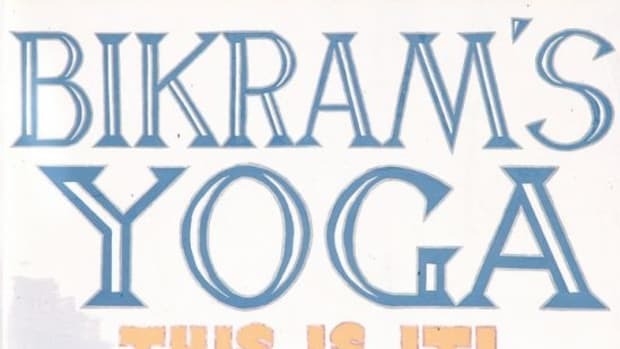 Hot yoga is practiced in a heated room (95 to 100 degrees Fahrenheit), like Bikram, but can refer to a flowing Vinyasa-style practice, similar to dance, that links one pose to the next. However, with the expansion of yoga varieties, hot yoga has taken on more definitions than it can handle. In the interview with Women’s Health, Kaley Cuoco was referring to the Colorado-based CorePower Yoga’s Sculpt hot yoga class. The studio&apos;s 60-minute yoga practice ups the intensity factor on a regular yoga class, improving muscle tone and strength, all while in a heated room. 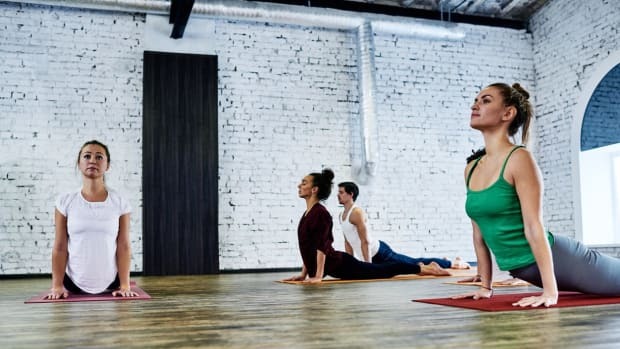 Hot yoga’s benefits stem from the yoga poses, sure, but what distinguishes it from other yoga practices is most notably the heat. 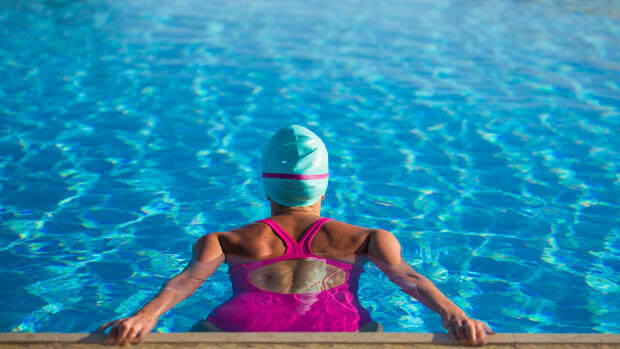 The heat (and humidity) increase(s) your pulse rate, which dilates the blood vessels and helps you to burn calories, boost circulation to the limbs, and increase flexibility without the risk of injury. Increased circulation strengthens the lymphatic system and flushes out toxins as well as more readily provides oxygen to the rest of the body. According to a 2015 study, Bikram yoga has been shown to improve lower body strength, lower and upper body range of motion, and balance in healthy adults. It has also been linked to improving glucose tolerance, bone mineral density, blood lipid profile, arterial stiffness, mindfulness, and perceived stress. Even so, these benefits have yet to be thoroughly validated with conclusive research. While many sources spread this suggestion (at best) that hot yoga burns between 500 and 1,000 calories per 90-minute session, they’re wrong. A recent study revealed that women burn 330 calories and men burn 460 calories per 90-minute Bikram yoga session. This may vary depending on the type of hot yoga being practiced, but regardless, there are plenty of calories being burned. The accompanying mind-body benefits make the practice well worth your time. However, before you hop on the mat and start sweating profusely, there are few things to keep in mind. Hot yoga requires caution. The intense heat and humidity can throw you off, or even injure you, if you show up unprepared. First off, it is important to stay hydrated, before, during, and after your practice. Aim for eight glasses of water per day and avoid dehydrating foods and beverages, such as coffee, tea, alcohol, salt, and starchy foods. Before hot yoga, avoid eating too much or too little. A light snack – fruit, or something with a high water content – is ideal. During you practice, don’t overexert. The hot atmosphere will make your body feel looser and more flexible than usual, which may encourage you to push yourself harder into poses. To avoid pulling a muscle or causing any other type of injury, take your time to push yourself beyond your limits. Let your body adjust to the heat and the poses before you start to experiment. Hot yoga isn’t advisable for beginners and anyone with a medical condition should consult his or her doctor before practicing. Like Cuoco, you too can benefit from hot yoga. Because of the heat, you burn more calories than a regular yoga session and can build up your flexibility and endurance over time. However, beginners should first take standard Hatha and Vinyasa yoga classes before graduating to their “hot” versions. And practicing hot yoga should always act as an added reminder to stay hydrated throughout the day.